Production of a digital twin, a 3D copy of reality, enables innovative solutions along the lifecycle of buildings, manufacturing processes, and products. 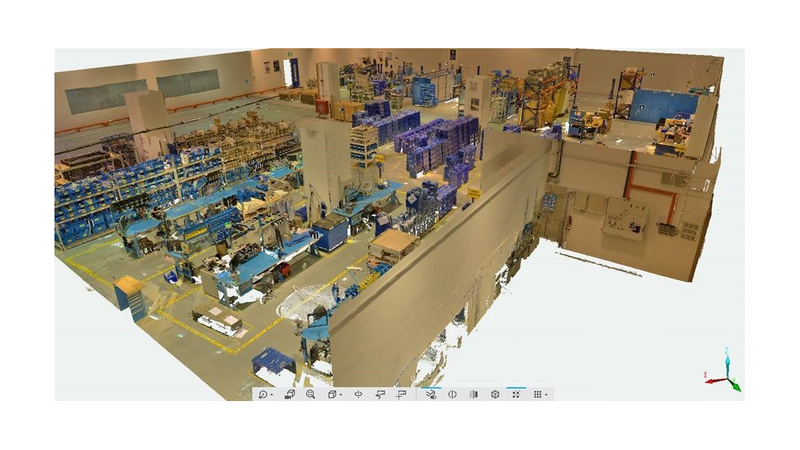 The concept developed by the Institute for Information Management in Engineering (IMI) and its Industry 4.0 Collaboration Lab is the first of this kind that uses a central service to supply all 3D inventory data independently of the hardware and software. Automatic generation of 3D models from point clouds using the “Click & Build” technology is of crucial importance. In cooperation with partners from industry and research, IMI develops new digital transformation methods for medium-sized and large enterprises as well as new approaches for Germany to remain a location of industry.